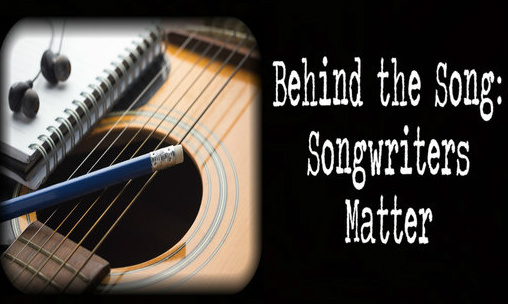 The songwriter is the faceless name behind your favorite song. You have an entire playlist of them, maybe hundreds or if you're like me, thousands of songs. There are names behind each of those songs and they're not the ones that get the attention or even the appreciation they deserve. Instead, they get their names in small print inside a cd liner or in the info on a digital track no one bothers to look at and a check for an almost non-existent laughable royalty or as I call it, what's left after the artist and the corporate suits get their majority cut. They are the songwriters. They are the ones who spend countless hours with pen in hand, jotting down ideas, looking for words, listening to melodies, finding the perfect combination of thought and music to create a song that MIGHT have minuscule chance at being cut, a chance that grows smaller every day because of the sheer number of competing writers that grows exponentially every day but yet they continue to write, co-write, re-write and throw it away and start over. They write about their heartbreaks which may heal our own, they write from drunken experiences that we sing to with our friends during our favorite bar's last call, they write from their hearts so that our hearts will feel and they write from tears that eventually fall down a listener's face because that very song was just what they needed to hear. They write from life in order to affect ours in some small way. These amazing people deserve more, much more. They deserve more recognition, more appreciation and more compensation. Take the time to find out more about these people who wrote the songs that changed you or take you to a good place. Thank them for their work and talk about them. They matter just as much if not more than the artists who sing the song. This isn't a hobby for them, it's their livelihood, it puts food on their table, provides for their families and keeps a roof over their heads. The industry shouldn't treat it like a hobby and neither should any outlet who plays their music and fails to compensate them fairly. Our government needs to step up and fix this problem. WE need to step up and speak up for them, defend them and make them more than a name hidden in a CD liner. They ARE the song, it's THEIR work, THEIR thoughts, and THEIR creativity. If they stop writing, we have nothing to listen to. They don't want fame, they just want the pay they deserve. Attend local songwriter rounds, post on social media about them, get to know them and help others get to know them. Contact your local officials on social media - Most representives have a Twitter and Facebook page.